Stopwatch - The digital display is programmed with a stopwatch function that, when enabled, can be triggered by using the high-beam flash button and each recorded time stored in a memory. 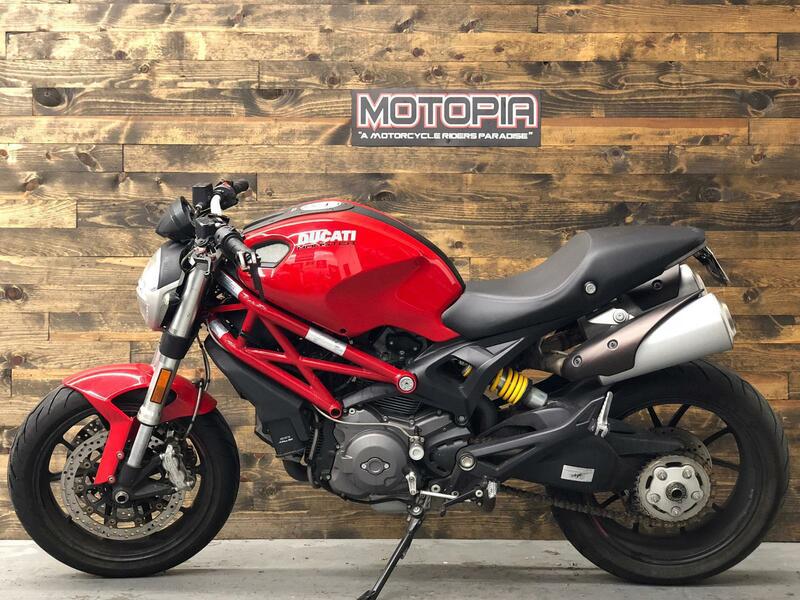 After your journey or track session, the times or lap times can be recalled from the memory and scrolled through by using the instrumentation buttons on the left-hand switchgear. 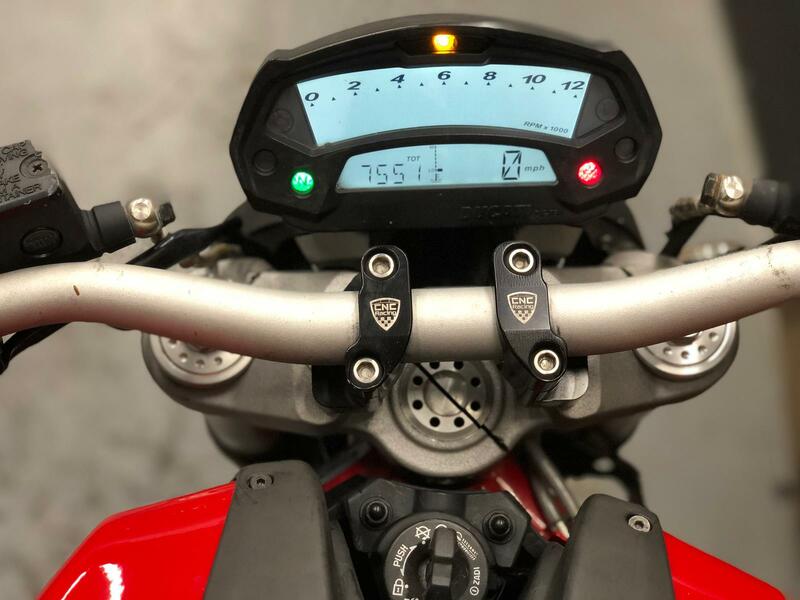 DDA ready - The instrument display also doubles as a control panel for the activation of the Ducati Data Analyser (DDA) system, which is available as an accessory from Ducati Performance. 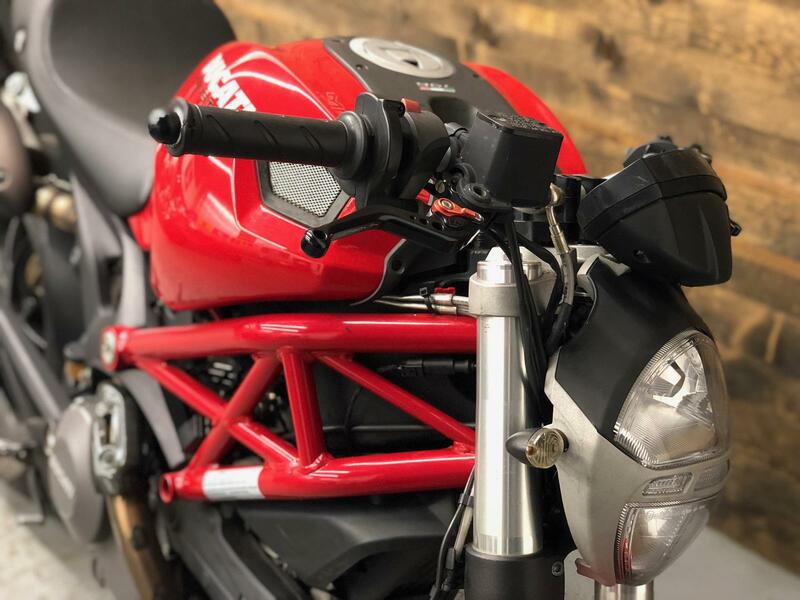 The bike has been built 'system-ready' for the data acquisition kit, which consists of special DDA software and a memory key that slots into a plug under the seat. 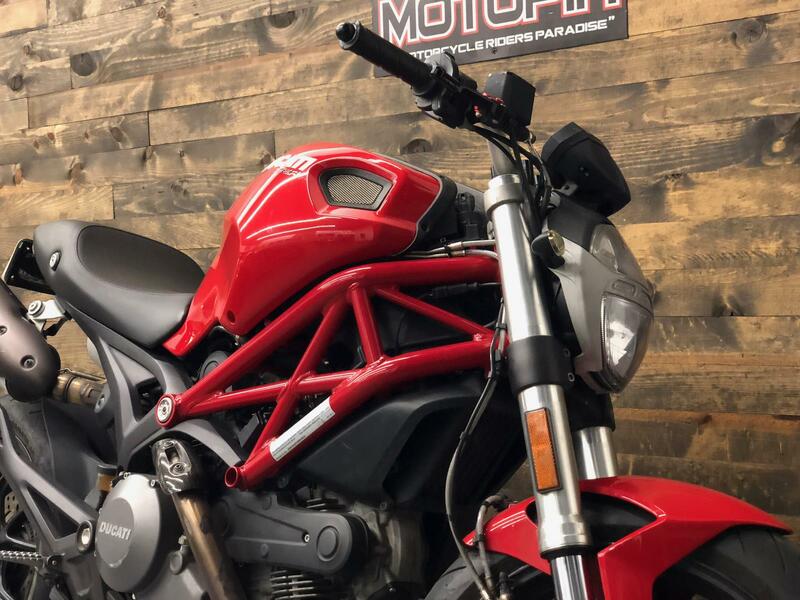 The same plug also doubles as the connection for a handy new battery charger available as an accessory from Ducati Performance. 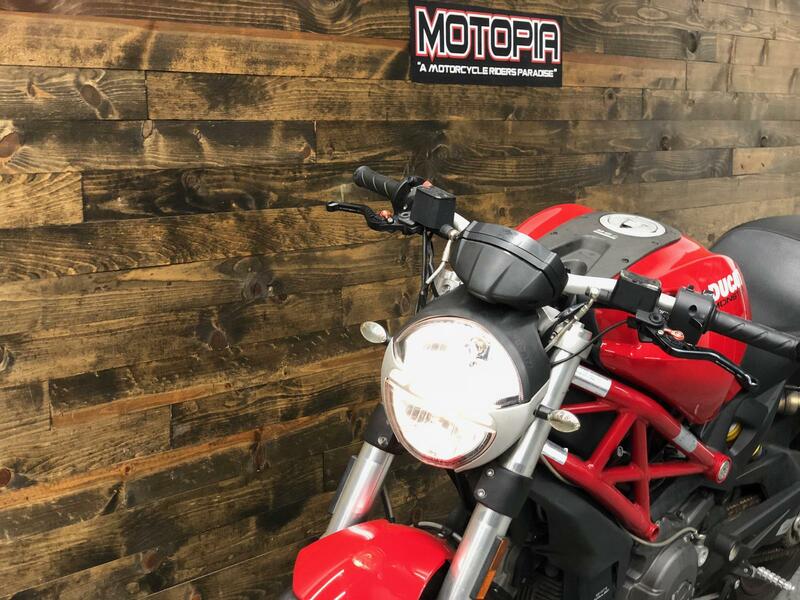 Empowering Controls - The Monster 796 has enhanced comfort and control with 20mm higher bar-risers gripping sturdy tapered section aluminium handlebars. 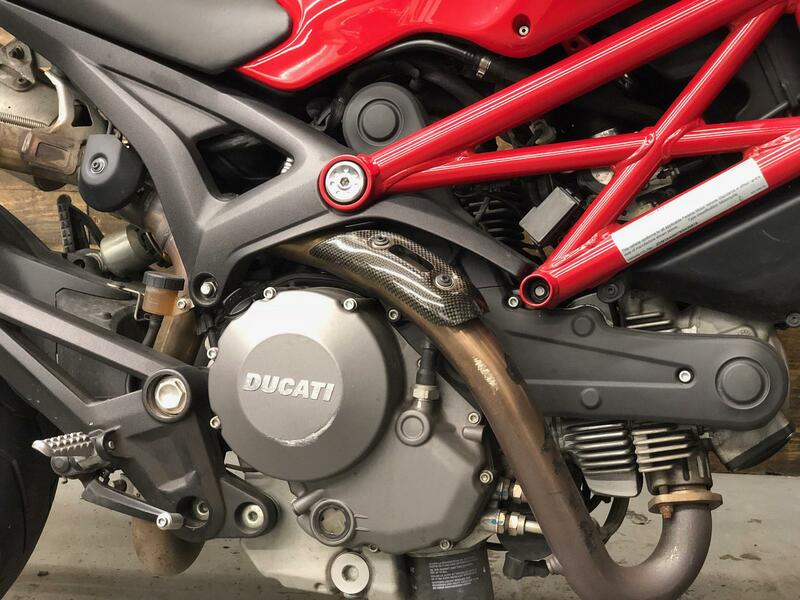 Integral type Brembo master cylinders are used for both the clutch and brake systems and maintain a clean handlebar arrangement for the rider. They are fitted with user-friendly 4-point adjustable levers that provide easy-to-reach control for all hand sizes and the APTC clutch offers a super-light lever action ideal for use in the city. Instrumentation - Visually simple digital instrumentation provides an array of data on command or, at a glance, just speed and revs. 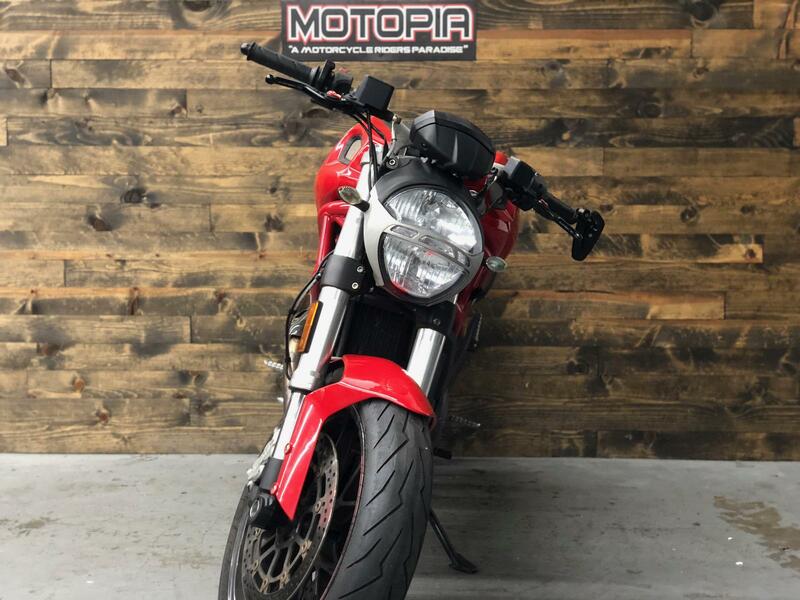 Information available at your fingertip include: scheduled maintenance warning, oil temperature, trip odometer, lap time, fuel reserve, warning light for low oil pressure, turn signals, over-rev warning, immobilizer and neutral warning light. 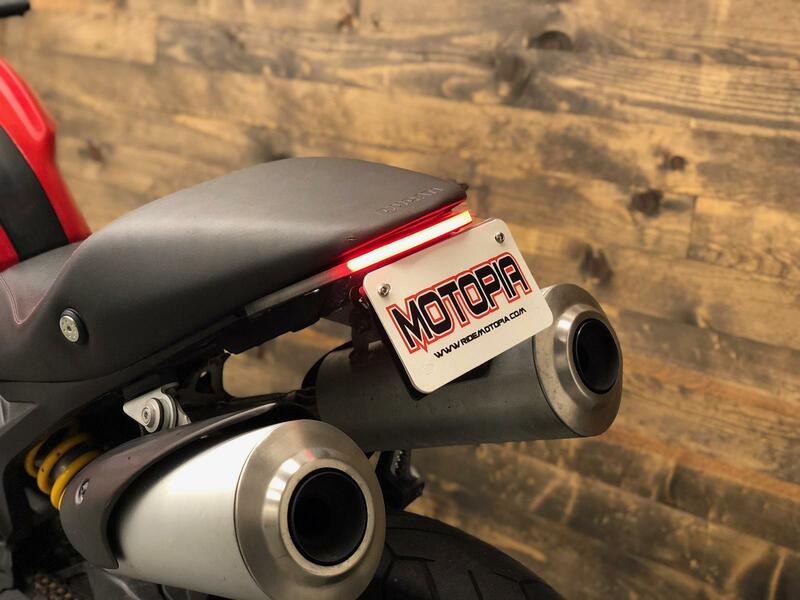 LED taillight - A LED rear light unit satisfies the minimalist, weight-saving design ethos found throughout the Monster 796. The specially designed strip of LEDs are enhanced by a special diffuser lens to deliver outstanding light clarity and incredible longevity. 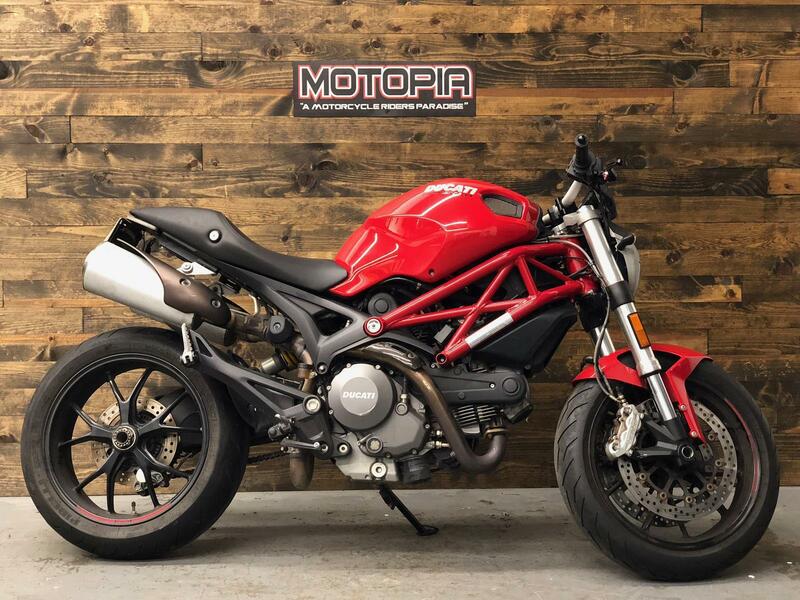 Headlight - The triple-parabola headlight on the Monster utilises the latest optical technology and advanced construction techniques to provide an incredibly compact lighting package. 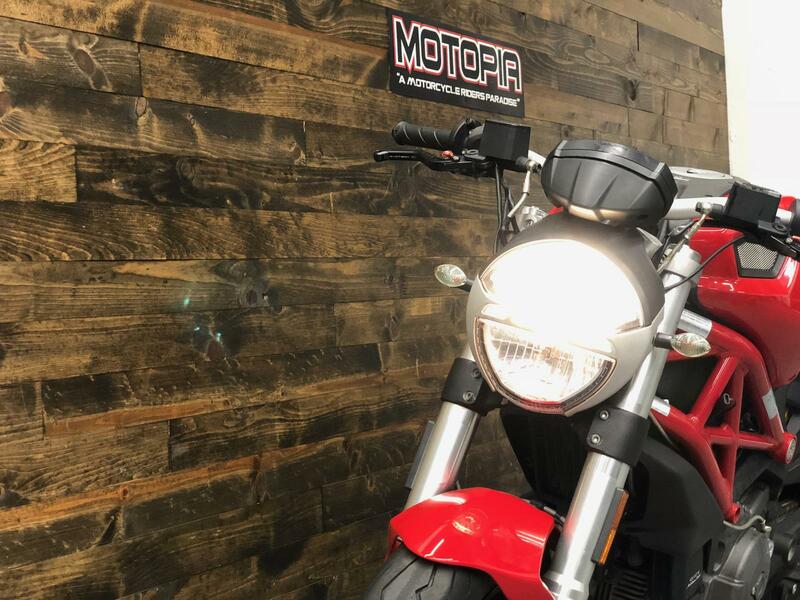 In spite of its compact size, the headlight throws a broad and deep beam to provide excellent visibility and make night riding safer. Viewed from the side, its discrete silhouette mimics the radical shape of the fuel tank.